You can get all kinds of new designs these days when it comes to pedicure chairs. In this modern day and age, there is no scarcity for innovative and trendy concepts in spa chairs. You can find designs that range from the classic to the ultra-modern with a wide variety of optional features. Almost every manufacturer competes with the rest to come out with the most innovative designs to capture the spa market. As a spa owner, you probably stand to gain the most because of the competition and the wide range of models that comes as a result of the race for innovation. You need to understand that good and efficient pedicure chairs can dramatically improve the customer experience. When you get spa chairs that compliment the décor of your spa, the entire look and feel of your interiors will get transformed. It is that “wow factor” that can really attract clients and make them want to come back for more. Of course, the quality of service to your clients also matters a lot. But when you already provide the best service, a good-looking spa can always make a huge difference in enhancing customer satisfaction. The spa chair is no longer a piece of ordinary furniture used to seat people during a spa procedure. It is a tool of luxury that has multiple functions built into it. More and more of these features are introduced everyday with upcoming designs. They not only serve an aesthetic purpose but also provide a wide array of functions to provide better service to clients. Having these sophisticated equipment is almost a necessity these days to provide top quality service to clients. The materials used in today’s spa chairs are designed for comfort, durability and looks. High-end chairs come with designer upholstery that looks elegant and sophisticated. They also provide a pleasant experience to clients. Most of the spa procedures require clients to sit for long periods of time. Soft leather upholstery can therefore provide a pleasant experience for clients. The frames of new Spa Chairs are made of wood or fiberglass. Some are also made of hard leather. These materials offer a neat appearance and provide a soft feel for clients when they sit on them. They are pleasant to the eyes and soft to the touch. All spa chairs require water circulation for the footbath. Most of the earlier designs had pipes to circulate the water in the bath. 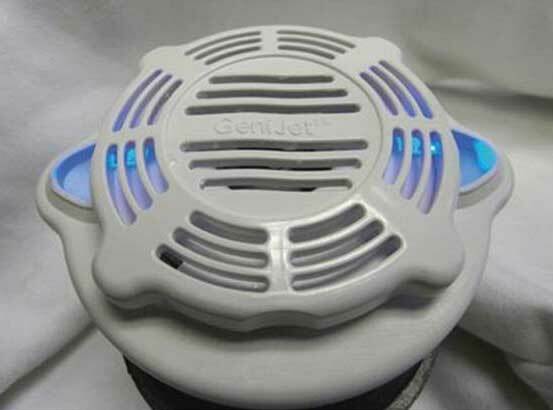 However, it was difficult or almost impossible to completely sanitize the pipes after every use. This made the spa chairs susceptible to spreading infection from one client to the next. Fortunately, pipe less spa chair systems have overcome this problem ingeniously. A magnetically activated rotor circulates the water without the use of pipes. This makes it extremely easy to clean the bath after use. There is no risk of infection and clients feel very safe with these kinds of spa chairs. As the name suggests, these Multi-functional Chairs come with an array of functions that make them look like gizmos from the latest Bond movie. In essence, the same chair can be used for a wide array of services. Therefore, the client is not required to move to a different chair once a procedure is over and a new one about to begin. For instance, if a client wants to have a manicure and a pedicure, they can stay in the same chair for both the procedures. Multi-functional chairs come with all the functionality required for both services to be administered at the same place. This makes it extremely convenient for clients. This feature also makes it easy for beauticians to provide better service since they do not have to move all their tools and equipments from chair to chair to administer different procedures for the same client. Some of the latest spa chairs can also be used for hair styling at the same time. 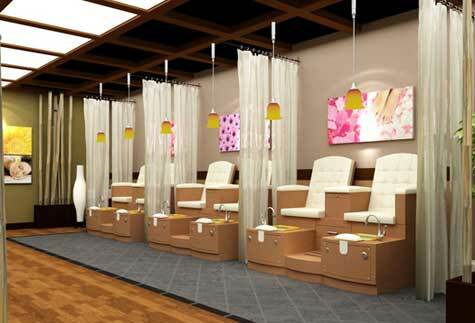 You can dramatically improve the look and feel of your spa with new pedicure chair designs. By incorporating the latest styles and features available in today’s spa chairs into your salon, you can ensure that your clients get the best possible spa treatments in the neighborhood. In the long run, you would also be able to increase your profits and in turn, improve your business. There is absolutely no feature that is not available in many of the latest spa chair designs. You can therefore use them to your advantage. Your clients will love your spa when you go out of your way to provide the best possible spa experience in the region.